One of the crucial issues facing healthcare worldwide is the emergence and perpetuation of antibacterial resistance. The Center for Disease Control and the World Health Organization estimate that thousands of people die annually due to infections causes by resistant bacteria. There are efforts underway across the country to address the pandemic of bacterial resistance. According to PBS.org, each year, superbugs – viral bacterial infections resistant to common antibiotics – infect more than two million Americans, killing at least 38,000. As the list of antibiotic resistant bacteria grows, so have the extraordinary efforts to prevent the spread of infection from patient to patient. You can learn more by visiting http://www.pbs.org/video/we-are-running-out-of-effective-antibiotics-fast-1501716639/. “Leading the national efforts on antimicrobial stewardship is The Joint Commission, who in January 2017 mandated the standard MM.09.01.0. 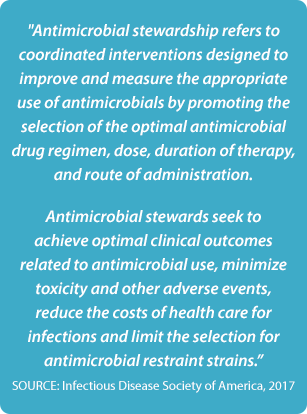 This standard indicated that all hospitals and skilled nursing facilities have an established antimicrobial stewardship program as a requirement for accreditation. The commission standard highlights the need for a multi-disciplinary team and the need for an infectious diseases physician. Furthermore, the Commission standard specifically notes the acceptance of telehealth-based providers in their standard. Several states have proposed legislation to address antimicrobial stewardship. A key example is California which was the first state to enact antimicrobial stewardship legislation, having passed the following three bills into law. California Senate Bill 739: mandates that acute care hospitals have in place a program to monitor and evaluate the utilization of antibiotics, as well as a quality improvement committee with the responsibility for oversight of the judicious use of these medications. Multiple California hospitals have been cited for their failure to comply with this legislation since its inception in 2010. As state officials continue their audits, the number is predicted to rise. California Senate Bill 1311: requires all acute care hospitals to adopt and implement an antimicrobial stewardship policy in accordance with guidelines established by federal government and professional organizations, and to establish a physician-supervised multidisciplinary antimicrobial stewardship committee with at least one physician or pharmacist who has undergone specific training related to antimicrobial stewardship. California Senate Bill 361: mandates all skilled nursing facilities to adopt and implement an antimicrobial stewardship policy and procedures. An infectious diseases physician is the appropriately trained individual to oversee the development, implementation, and monitoring of an antimicrobial stewardship program. However, there continues to be a shortage of infectious diseases physicians in community and rural hospitals. 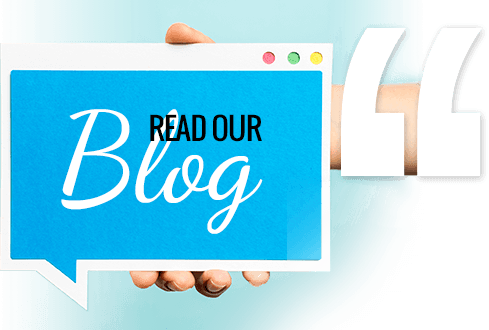 To address this shortage, TeleMed2U pioneered the concept of a telemedicine-based Antimicrobial Stewardship Program (ASP), and implemented the first of its kind in hospitals in the state of California. Evidence-based practice data from TeleMed2U’s hospital programs have garnered international acclaim at medical conferences and in peer review journal articles cited by nationally-recognized subject matter experts.